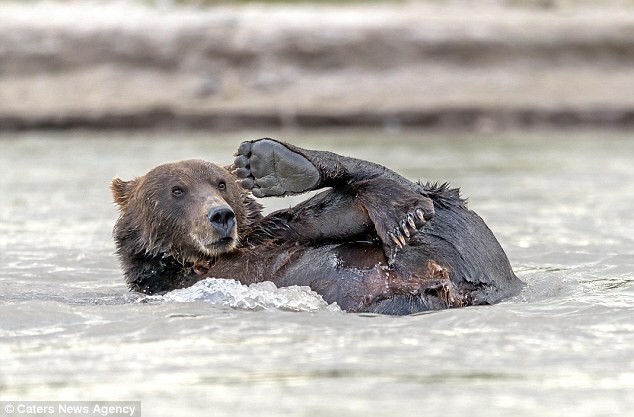 A playful bear was spotted washing himself just 'as a human would' while bathing in the Kurile Lake, Russia. 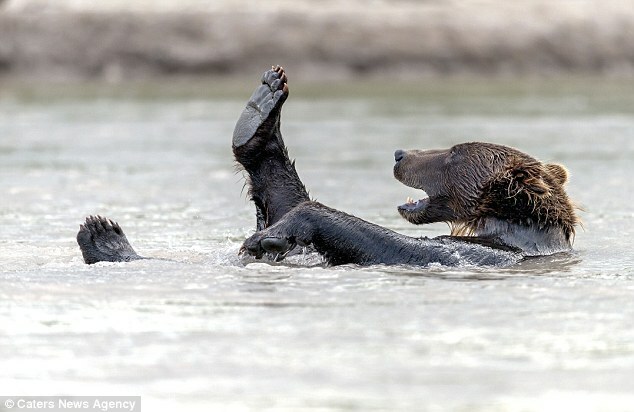 As he sploshed around in the water his mates hunted salmon upstream. 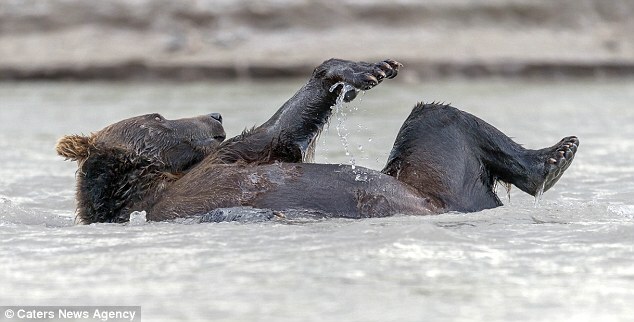 Law graduate Giuseppe D'Amico noticed the mammal who spent a good 10 minutes enjoying his bath. Giuseppe said: 'I was taking pictures of some bears hunting red salmon up stream when I spotted this bear in the distance. The Kurile lake caldera was formed by two large volcanic explosions, one 41,500 radiocarbon years ago and the other around 6440 BC. The lake is the largest spawning ground for sockeye salmon in Eurasia, and second in the world only to Alaska. Measurements of the numbers of salmon entering the lake and the spawning of juvenile fish are conducted by observation stations which is located on the western shore of the lake. 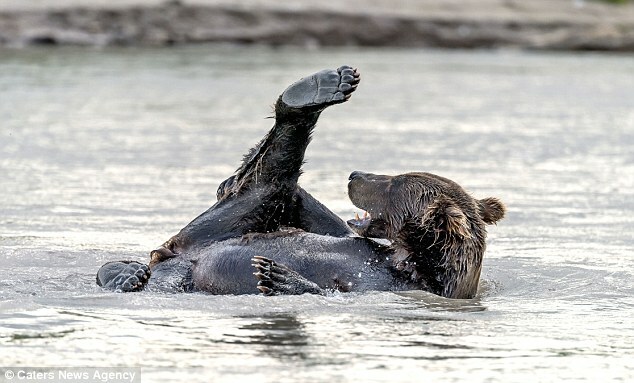 On the shores of the lake up to 100 brown bears are often sighted catching salmon. Kurile Lake is a national wildlife preserve and a national monument. It is a UNESCO World Heritage Site in the listings of composition of the volcanoes of Kamchatka. 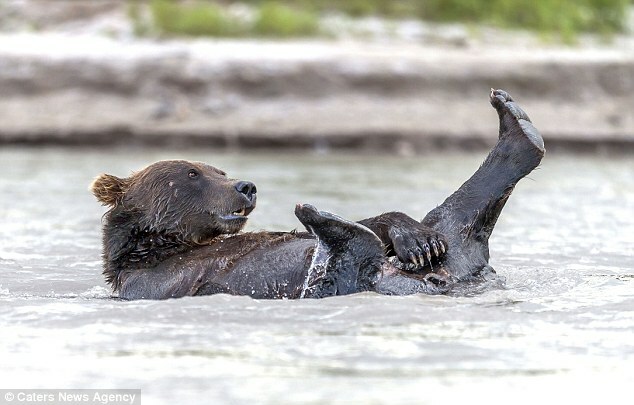 Responses to "Hilarious pictures of a playful bear enjoying a bath in a Russian lake"